After the Royal Dutch Shell opted to settle out of court the Saro-Wiwas with the sum of US $15 million this year in a case of environmental degradation, human rights violations, oppression and hanging of the Ogoni-9, peace is yet to return to the Ogoni-land. And this should give any well meaning Nigerian a thought of which way forward for the Ogoni people since the Movement for the Survival of the Ogoni People (MOSOP) was formed in 1990 to show the world the environmental damage Shell's drilling was causing in the Ogoni-land. Villagers and people like the patriotic Ogoni leader, late Mr. Albert Badey, a seasoned bureaucrat and one time Secretary to Government of Rivers State and father of Mr. Suage Badey who is Member Rivers State University of Science and Technology (RUST) Governing Board, also protested for the safety of their environment and were gruesomely murdered by angry mobs allegedly loyal to the late Ken Saro-Wiwa in May 21, 1994. Without doubt, many family members of the people of Ogoni who were killed in that struggle have claimed that Shell hired government troops that shot at their relatives who protested against a pipeline 13yrs ago, an allegation Shell was denying before it accepted in out-of-court settlement. But before that settlement was made, the estranged President of MOSOP, Mr. Ledum Mitee, reportedly said his kinsmen would prefer to commit mass suicide rather than roll out the drums to welcome back the Shell, into Ogoni. This statement was made through his Information Officer, Bari-ara Kpalap, who also said that the Ogoni people have since resolved that they don't want Shell to operate again on their land. Bari-ara Kpalap claimed by June 9, 2009 that, ''As an organization, MOSOP will like to warn that any arrangement by Abuja, relating to resolving the Ogoni crisis, which contemplates Shell's Ogoni re-entry, will not win the support of our people. It is our position therefore, that the only panacea to re-tapping Ogoni oil lies in allocating the Ogoni oil concession to a new operator”.�According to the MOSOP leader, ''in the event government fails to heed our advice, we would have no alternative than to mobilize the Ogoni people back into the non-violent campaign trenches, if the Federal Government thinks otherwise, then it should be prepared to kill the mass of our people''. In that vein, one thought that the Ogoni people need peace even that the MOSOP had in a statement this year expressed disenchantment of a so-called new bond between Shell and the Federal Government to enhance the continuity of the oil giant to operate in Ogoni as a silent partner of the Nigerian National Petroleum Company Limited (NNPC) against what they described as ''earlier popular decision'' of government ending the company's existence in the province by December 31, 2008. But Suage Badey is of the opinion that Ogoni people need genuine peace in the first instance that should pave way for a better and more cohesive thought process, employing dialogue and subtle protest than words that aggravate the minds of their youths thereby breeding and precipitating violence; a counter productive approach that should be discarded in any struggle no matter the strength of ones case. Ogoni people don't just have the Ogoni-4 and Ogoni-9 but more painful are the unheard song of many who died during the teething period of the struggle, a multiplicity of deaths that can be categorized as the Ogoni-1, Ogoni-3 , Ogoni-20, Ogoni-50 etc. Ogonis under any leadership should desist from unnecessary protests that could possibly engender the lives of more Ogoni people and adopt a civil and constitutional approach that would yield results. 1. Ogonis all through our history are known to be hospitable and loving. This lost attribute visited on us by the insensitivity of Shell and the Federal government should not dissuade us from conducting ourselves properly. No matter the enormity of a crisis, it ends up on a round table where peace and the way forward is discussed ( a ready example is the Amnesty deal by the Government with regard to the Niger Delta struggle after years of bloodletting) . So, the platform for dialogue should be our priority but more importantly is the internal sincerity amongst us. Our people of Ogoni should stop casting huge doubt on the sincerity of government in resolving the Ogoni crisis if the different communities and organizations in Ogoni-land are hardly to be sincere with themselves or to each other in the struggle for the emancipation of the Ogoni people in the business of Nigeria since 90s. The greatest danger Ogoni faces today is the danger of egocenticism, unnecessary leadership tussle and unhealthy suspicion amongst our elites and not the danger posed by Shells degradation of our environment. We must start eradicating the cankerworms within so as to have a healthy body to confront our common enemy. A deliberate and conscious effort to resolve our problems must start now, putting in our all for our collective gains by amicably resolving our differences without hoodwinking any community or group. 2. Ogoni-land needs development, just like the entire Niger Delta region. And this development is rightly at our doorsteps. KAGOTE, our elitist oganisation founded by our fathers be rejuvenated and brought back the original valued intent of our forbearers. A body that promoted hard work, morals and was never prejudiced in its decision makings. This will enable us get back to the drawing board and screen everything that affects Ogoni. Our development must be collectively driven and not self centered. We must forget that the formation of MOSOP emanated from this esteemed body, KAGOTE. Today, the body which hitherto made every Ogoni son and daughter proud has not only been consumed by MOSOP but completely relegated to the background, losing its potency and the positive impact it engendered on our people. We have a moral obligation as Ogonis to restore the values of self respect, regard and honour for our elders, the protection of our cultural values and heritage and the promotion of lofty ideas that would bring about a formidable Ogoni. This will bring us back on track as we tackle the insincerity of Government to our developmental needs. 3. The Federal Government and Shell should exhibit a more pragmatic sense of responsibility, being the remote cause of the entire crises that engulfed Ogoni land. In addressing the Ogoni question which has been on the front burner for almost 20years now, the Government must desist from acts that appear divisive and be remorseful for its neglect. In adopting this posture, the government should consult with a broad Ogoni representation that involves, KAGOTE, Paramount rulers of the respective kingdoms that constitute Ogoni, MOSOP, Local Government Chairmen and our respected Ogoni leaders occupying positions of trust in the Government on the way forward. Decisions arrived at should be followed vigorously with a genuine intent to be implemented on scheduled outcome of resolutions taken. The Government as a matter of fact due to its neglect, impoverished our people and inturn unknowingly created a culture of violence that not only engulfed Ogoni but the Niger Delta in its entirety. Today, you find in Ogoni just as you find elsewhere pockets of grievances that are now directed at the self: A deterioration of values leading to the breakdown of the family unit and society at large. Today, you find intra-communal wars: brothers killing brothers and so on, offshoots of frustrations that is traced to the insensitivity of the oil giant, Shell, and the Government. As the Ogonis begin the process of addressing our internal failings it becomes necessary for the government to throw away the trench coats that conceal those deadly weapons they use to drive us to an extent even as their proboscis continue to drain us of our oil consistently and like a father which it is supposed to be, take off his cloak and save your child from the ill-effects of malaria caused by those mosquito like proboscis all over our land under the tag of drilling. That would go a long way in bridging the gap of suspicion that has been fanned over the years by government's adamant posture. As we make this concerted effort which should provide a better avenue for meaningful dialogue it is also necessary that the recommendations of the Ledum Mittee-led Niger Delta Technical Committee report be implemented. It will also serve as a way forward in the Ogoni conversation. 4. MOSOP views on the “terminating Shell's operational relationship with Ogoni by December 31, 2008” might be sensitive but more sensitive is the leadership tussle of who represents Ogoni people as President from the MOSOP angle. It's time for us Ogonis to look into the issue of MOSOP leadership rather than continue to ridicule ourselves as we navigate through this painful but necessary road in the actualization of our desires. Ledum Mittee and Goodluck Diigbo's differences as of urgency should be addressed by KAGOTE so as to prevent unnecessary overheating of the grassroots. We must arrest this trend so as to prevent further bloodletting in our communities' better still in furtherance of our unity as a people. If Shell is being referred to as lacking a good sense of purpose for the Ogonis then it would be foolhardy to have a leadership that lacks direction and the requisite leadership qualities to promote peace amongst its people. We don't need another Ogoni 1, Ogoni 3, Ogoni 4, Ogoni 9 etc. It's time now to throw away the differences of the past and push for our collective growth. KAGOTE, its time to act! 5. Ogoni people have to re-build renewed confidence, drawing from the lessons of the past while dwelling on the present scenario and provide a framework for positive expectations. This can never be achieved except we come to tow the line of genuine peace and love, a prerequisite for cohesiveness and strength in our struggle for our rights by the external aggressor. Our aspiration and expectations have been dampened by our discordant voices because we have broken that cord that links us as one and given Shell and the Federal Government a relaxed atmosphere to click their glasses continuously. We must re-awaken our resolve to be one and engage the aggressor not with violence but with reason. The power of reason always surpasses the instruments of violence and oppression. The time is now, failing which we might have just allowed our fathers, mothers, brothers, sisters and children to have died in vain for a better Ogoni. 6. 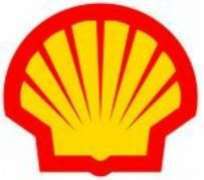 Shell will never provoke us in the area of development as many are thinking, but Shell can be provoked to incline its ears to our agitation when it sees that we have come to conformity as an entity through deliberate genuine peace attempt and reconciliation to commence oil activities in Ogoni not anymore under the defending safeguard of like-mad armed security primed. 7. Even if the FG decides to consult the Ogoni leadership on a new operator as Shell relinquishes interest in Ogoni-fields, it will be most necessary for us to put our house in order and have the collective interest of all our people protected. This should form part of our submissions to a resolution panel. To enhance recommencement of oil production in our land, we can achieve little or nothing if we do not agree on what we want as a people: It will be senseless coming to an understanding with FG and oil companies, without feeling the pulse of the people, resulting in a disunited home. This “will” brew another disaster. 8. And if many of our people are saying that if the FG FORCEFULLY return Shell in our land, the Ogoni people will non-violently resist. I ask, which Ogoni people will resist the attempt non-violently? Is it the MOSOP that has been divided by the Ledum Mitee-led faction or the Goodluck Diigbo-led faction? We should look at the issues objectively and come to a conclusion that with a common denominator for all concerned. Let's not personalize issues. The issue shouldn't be the oil company concerned but rather their readiness to subscribe to our demand. 9. Ogoni people must exhibit sincere love for one another. This is the most important ingredient, a love that will transcend all our pains and frustrations and throw to the front burner our collective desires. Let us now resolve to put away the enforced culture of violence imposed on us by the insensitivity of the FG and Shell and in return draw their attention to our plight through our collective strength armed with the injustice meted-out to us till this day and we will certainly arrive at the destination our fathers desired for us all. 10. It was in the cause of our fathers' love for Ogoni that they presented themselves to be gruesomely murdered and hanged even in the uncertainty of those times when tyranny was at its meanest. Today, we have a better chance. So, we must not disappoint them let alone ourselves and make nonsense of the struggle they paid the supreme sacrifice for. Indeed we must remain sincere to each other first, before our committed struggle for the approach to achieve a lasting peace in Ogoni, that is the non-violent protest we want for now, before any non-violent protest against the Federal Government if it allows Shell to enter Ogoni-land after its December 2008 pact to hound Shell out of our land.